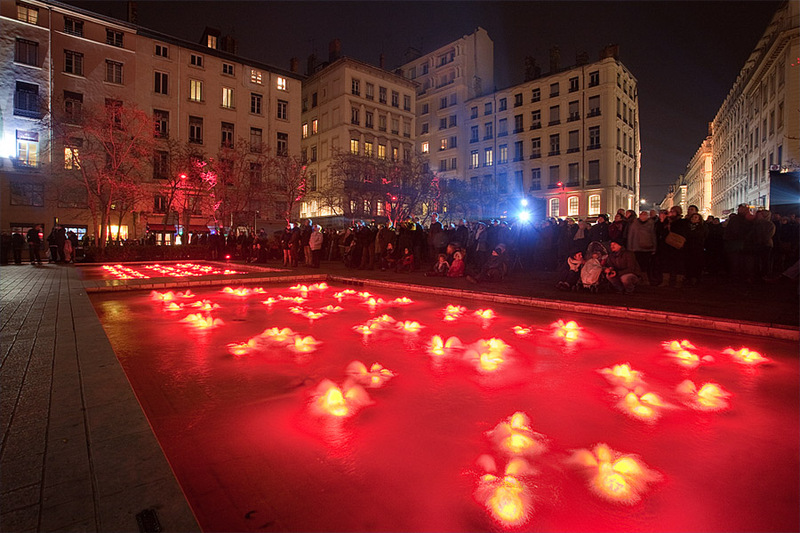 The Celestin fountain in Lyon, France. During last festival of light, there was a very nice light painting show displayed on the Celestin theatre. But more interstingly was this fountain in front of the theatre that was turned into some kind of lake in inferno.